(Seychelles News Agency) - Three people who met under frightening and difficult circumstances -- being held hostage together by Somali pirates -- say they are now lifelong friends. 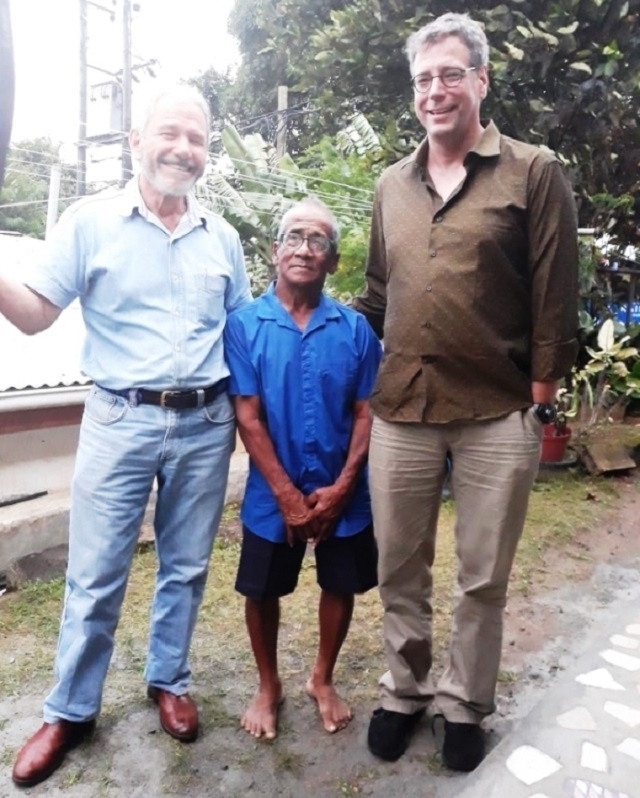 Two Seychellois fishermen and an American journalist who lived and shared the distressing experience have remained friends. The three also share friendship with the British pilot who flew the two Seychellois out of Somalia. Journalist Michael Scott Moore and pilot Captain Derek Seton were recently on the island nation for a reunion with Mark Sangoire and Rolly Tambara. Moore, Tambara and Sangoire were all held captive together. “I had spent 10 days on land when I was captured. After being driven for several hours into the bush, I arrived at a camp where other hostages were being held. And it was there where I met Rolly and Mark. It was on the next day that we were all thrown together in the same car. I and Rolly were together for several months,” the journalist, Moore, recounted on SBC TV News. The two fishermen, Tambara and Songoire, were abducted by Somali pirates in November 2011. The two were on their fishing vessel - Aride - in the Seychelles' territorial waters 65 miles west of Mahe, the main island. Moore had travelled to Somalia to research a book on piracy when he was abducted by a gang of pirates in January 2012. Tambara and Songoire – who were held captive for a year - were freed in November 2012. Moore, who endured 977 days at the hands of the pirates, was released in September 2014. Earlier this month, Moore and Seton visited Tambara and Songoire. For Moore, it is his second visit to Seychelles – a group of 115 islands in the western Indian Ocean – after meeting the Seychellois. “The first time he came to visit us, it was a Sunday and I was relaxing at home when he just walked in. It was a surprise visit but I was very happy to see Michael,” recounted Tambara, a resident of Belvedere – a sub-district of Plaisance on the outskirts of Victoria, the capital city. 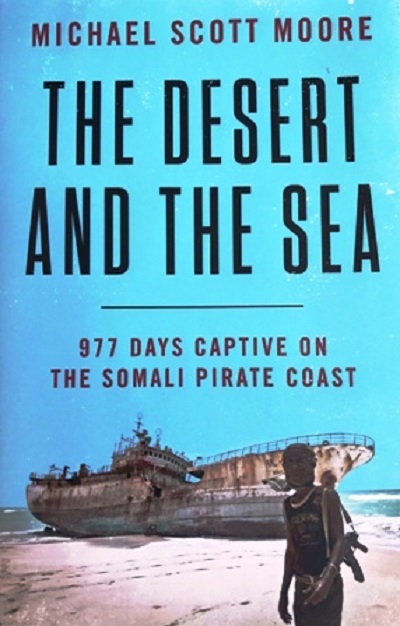 This time, Moore came to give his two friends a copy of his new book -- "The Desert and the Sea: 977 Captive on the Somali Pirates Coast" -- which recounts their experience as hostages of the Somali pirates. The book is available online. “The experiences were traumatic, where the hostages were moved around a lot. Sometimes I was with Rolly but sometimes we were kept separately and we suffered a lot,” said Songoire. This visit by the American journalist was a special one as Moore was not alone as he brought along Captain Seton, who helped with the rescue. “These kind of operations were not new to me. I did similar things when I was in uniform as a military man,” explained Seton. “I feel happy that I managed to help get them out and happy for their families as well,” adds the pilot. Though it is not known when the next reunion will be, Tambarra told SNA that Michael is expected back in one or two years. Not dampened by their nightmare at the hands of the Somalian pirates, both Songoire and Tambarra still loves the sea. “I still fish, hey what to do, this is my life. I fish on a boat of a friend. But we do not go far out at sea like before I was taken. Now it is the south-west monsoon and I am at home until the sea is calmer,” said Tambara. Songoire was injured by the pirates and rarely fishes. “But I do go just to pass time, but I cannot do anything too physical as this is painful,” said Soingoire.